Various government and private agencies recognized the contribution of Cherry Mobile CSR (Corporate Social Responsibility) initiatives in social service and development work. As of mid-2015, the company’s CSR was able to serve about 350,000 impoverished individuals, families, and communities nationwide. Cherry Mobile CSR was awarded as “Best Corporate Donor” by the Department of Social Welfare and Development Region IV in recognition of the company’s initiative in supporting the plight of the elderly by providing in-kind donations, conducting socialization activities, donating a phone booth, and constructing a greenhouse to sustain the nutrition needs of the elderly. CSR manager Regine Penaflor-Anacay receives the Best Donor Award for Corporate Category from DSWD Field Office IV-A. The Department of Education central office acknowledged the company’s support in advocating quality education specifically in remote areas by providing school supplies, constructing classrooms, and educational materials/equipment among others. 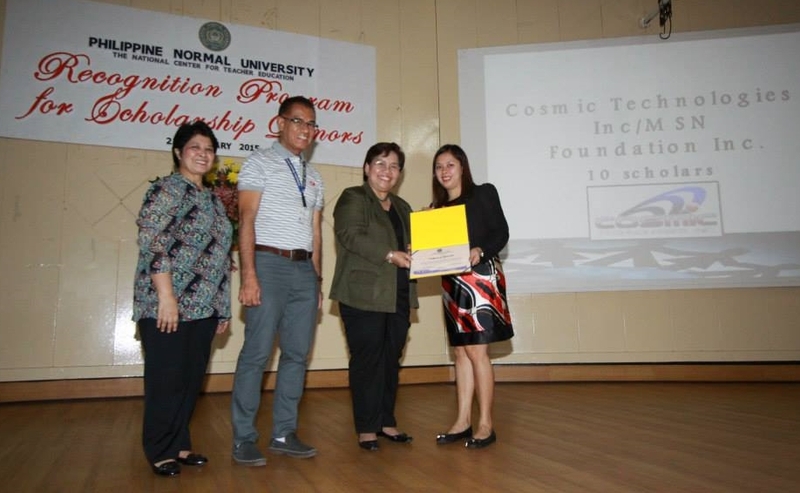 Likewise, the Philippine Normal University (PNU) recognized the support from Cherry Mobile CSR for the indigent students by providing scholarship grants (monthly allowance, miscellaneous fees, and other related educational expenses) as well as civic work exposures and leadership opportunities for its scholars. CSR Officer Radelie Geavican receives the Certificate of Appreciation from Philippine Normal University (PNU). ABS-CBN Lingkod Kapamilya Foundation, Inc. also recognized the contribution of Cherry Mobile CSR in capacitating its community leaders called the River Warriors, transforming them from mere river protectors to competent community organizers who will initiate positive changes in their respective communities. Jose Reyes Memorial Medical Center also recognized the company’s support for its indigent patients to acquire medical assistance such as medicines, laboratory fees, and other medical related expenses. Cherry Mobile CSR also supports indigent patients from various hospitals, mainly, Philippine General Hospital, National Children’s Hospital, Pasay General Hospital, Philippine Heart Center, Lung Center of the Phillippines, Ramon Magsaysay Hospital, Tondo General Hospital, Hospital ng Maynila, Gat Andres Hospital, Presidential Security Group Hospital, and Philippine Children Hospital. CSR Officer Keren Tandico receives the Award of Appreciation from Jose R. Reyes Memorial Medical Center (JRRMMC) at their Foundation Week celebration. Cherry Mobile is deeply honored for the above recognition and awards. But most important of all are the positive changes that occurred in the lives of the beneficiaries which serve as motivation to continue the good deeds that have been started. The company’s initiative was institutionalized by establishing its corporate foundation - MSN Foundation, Inc., - managed by professional social development workers in propagating its legacy for the Filipino people.